Chinese New Year is just a week away! 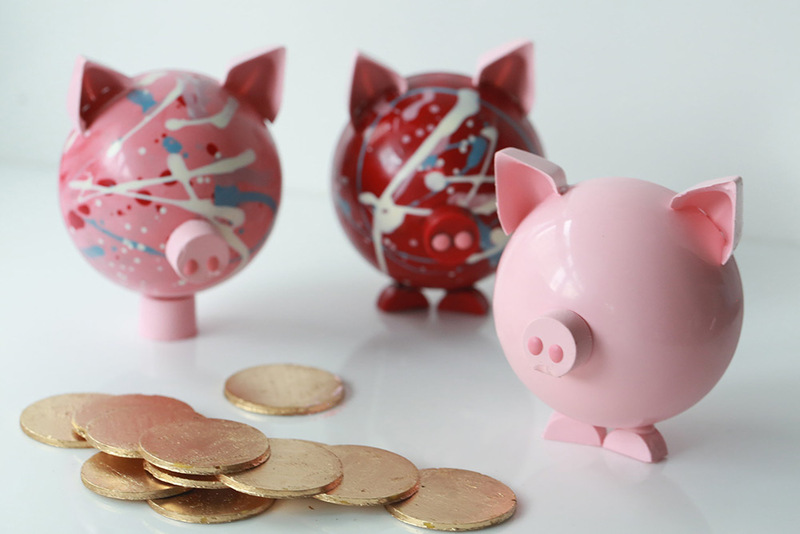 Have you got your goodies to welcome the Year of the Pig? 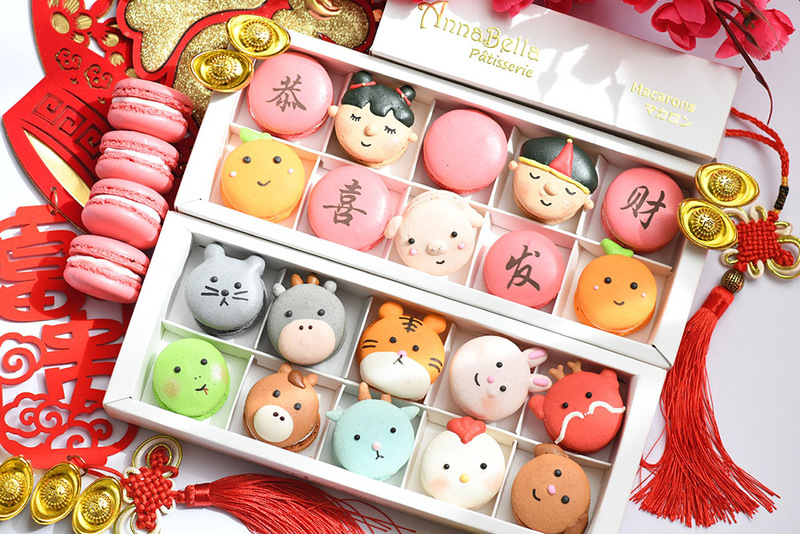 Chinese believe that snacking on selected sweet treats during the new year can bring great prosperity and abundance. To help you kick off an awesome year, we recommend these festive savouries which come in both traditional and modern forms. Happy New Year! Hu Zhen Long Durain Bak Kwa (Credit: Redmart)Bak Kwa has been one of the MUST-HAVE items during CNY especially in Singapore. From the classic Bak Kwa, ranging from pork, chicken, beef to others exotic flavours such as lobsters and crocodile meat, Bak Kwa makers have pushed their limits to create more “unimaginable” flavours. Believe it or not, you can find Durian Bak Kwa now in Singapore !!!! You love durian? You love Bak Kwa too? Why not get both in one bite? 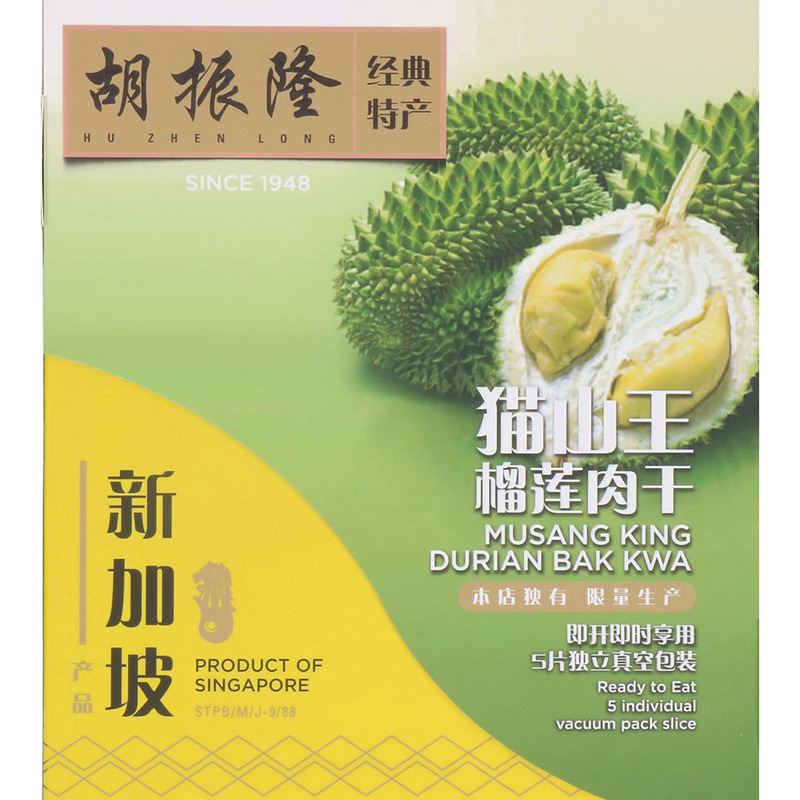 It’s not any ordinary durians, the pork meat is actually flavoured with actual Mao Shan Wang durians. Each slice of meat you eat in will have a bittersweet durian aftertaste. Curious about this heavenly fusion? Why not try it out yourself this new year! 14 Sago Street, open: 10:00 a.m. to 8:00 p.m.
South Bridge Road, open: 11:00 a.m. to 8:00 p.m.
Would you even eat these cuties? 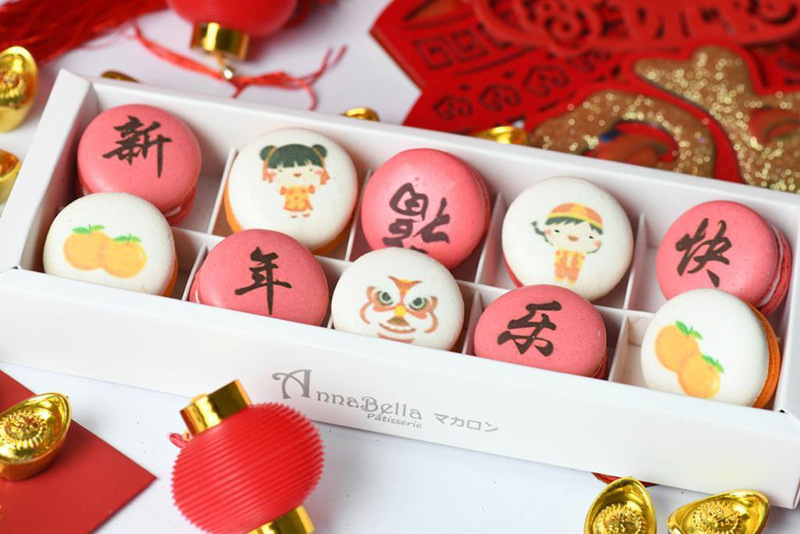 The 2019 collection set comes with 20 pieces of Character Macarons – 12 Zodiac, Prosperity Boy and Girl with 2 Mandarin-shaped, and 4 pieces of Gong Xi Fa Cai printed macarons. Or grab the 10-piece-Macarons set (without the 12 Zodiac). Both are packed in a nice gift box, an ideal gift for relatives and friends. 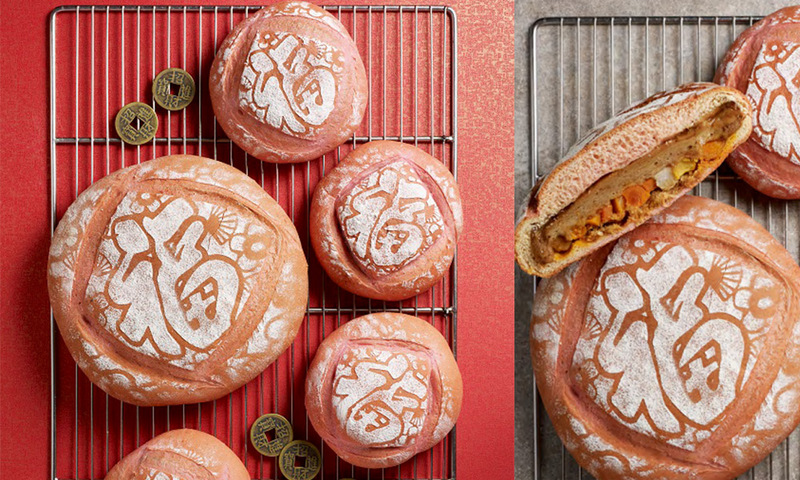 Celebrate the Year of the Pig with Singaporean celebrity pâtissier Janice Wong’s new masterpiece. Yes! These are mouth-watery chocolates coated with brilliant pink and spunky red artwork. Each comes with 3 edible gold coins! Classic! Just like Bak Kwa, Bak Hu (meat floss) is a must-eat during CNY. 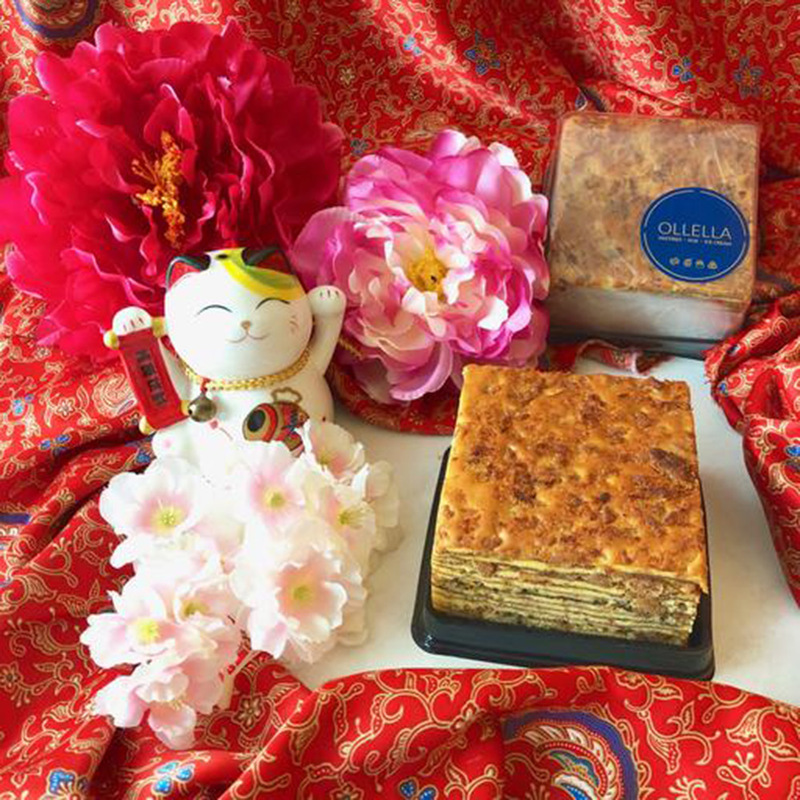 Ollella, famous for its kueh lapis, has rolled out the Bak Hu Lapis. This fluffy floss limited edition made with halal chicken floss and decadent dutch butter has definitely set imaginations of meat-lover running wild. 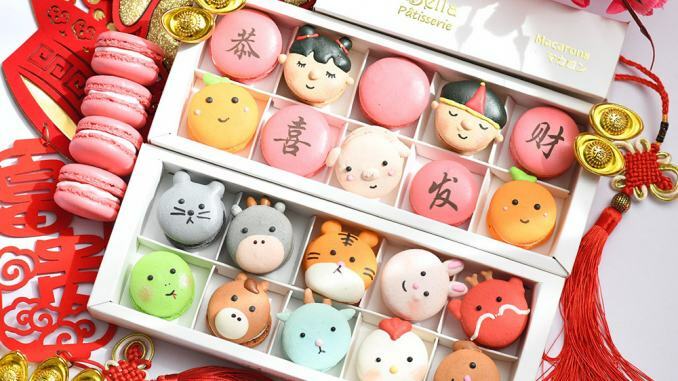 Hong Bao is a high-end French pastry with a Chinese twist. 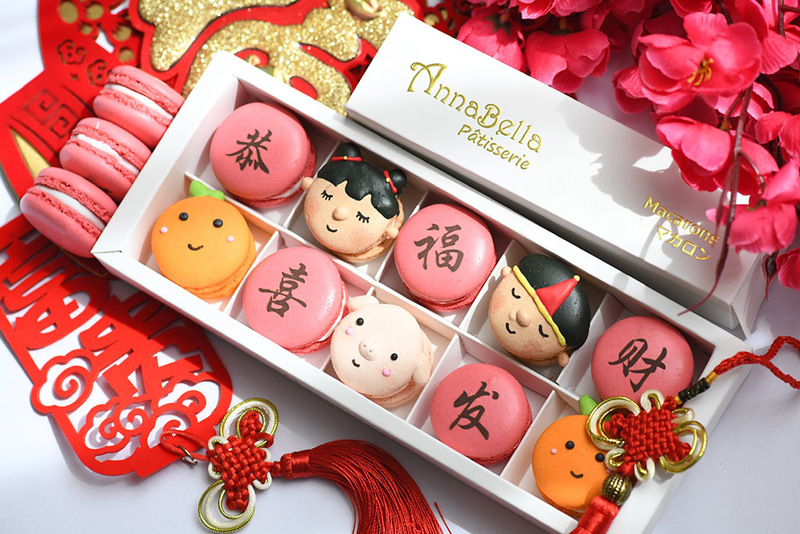 The cute pinkish bun, coloured by natural dragon fruit juice, is filled with black sugar mochi perfumed with fried shallot and layered with pork floss, salted egg, candied sweet potatoes and yam. Perfect gifts for your atas relatives! What do you think of our list? Which are your favourites? Comments and share with us your thoughts. 🙂 Wish you a Happy Chinese Year! Huat Ah!! !